Bus took another turn on that serpentine road and swirled from the sides. Midnight had swiftly dropped the dark gown to turn into a dawn. Sun was trying to murder the moon and its rays were acting harsh on her sleepy delicate eyes. But they both were still holding onto their talks from the starry night. Both were probably dreaming of the same things as they slept cosily onto the narrow seat allocated to them in that luxury bus. As he opened the eyes and moved his hand gently to move the hair off her face, she cuddled up even more into his arms. He checked his watch. Half an hour more and they would be at Dharamshala. A city in the state of Himachal Pradesh, India. It is located in the upper reaches of Kangra valley and through the half opened window; he could now get a fresh view of its beauty. As bus entered the town, bus driver pressed the horn – which itself was so far asleep on the quieter road. Horn sang its tune and was enough to wake her up. “Almost!” He said, pulling back his hand which had gone comfortably numb by her head resting on it. She made her hair and he kept the luggage ready to get down to the place they both had been longing to be at from months. Breaks were applied and bus came to an awkward halt on the upward slope of a narrow lane. A cloud of smoke that had been following the bus, overtook it with that stop. “There they are” he said excitedly, waving at his friend from Dharmshala and his girlfriend who had taken efforts to receive the pair early morning. Hellos were exchanged and soon all moved to the apartments where the staying arrangements had been done. “I can breathe freshness all around” she said to his friend and they all agreed in an instant. A small town exhibited a charmingly bucolic sight. It was covered by dense forests of pine and coniferous trees. And a look inside the town had warmth of mixed cultured population staying in vibrant coloured houses with characteristic rooftops. From the top, these looked more like toys with colourful hats placed on their heads. Morning had its effect over the town, as they all could witness several vendors – busy setting up fruit and vegetable stalls in the market. She tried to read the native faces as the car moved through narrow lanes, up and down the slope, introducing to the city its new guests. Face responded back with smiles and welcomed them all. They reached the guesthouse and formalities were completed. Standing in the balcony, they both couldn’t help but continue appreciating the beauty of Dharamshala. Guesthouse would have been better known as Simba from Lion king, since it was held high in hands of the mountain it was built on. It was overlooking the town of hundreds of tiny toy like houses with those typical hats on their heads, almost hundreds of feet down. She was here now…with him in the lap of nature. She turned around to watch him look at her and saw joy in his eyes over making it till here. “Thanks” she whispered and the words were quietly carried by the wind…carried far towards those colourful houses looking up at them…and beyond the snow clad mountain range that surrounded the valley from one side. “See” he showed a Tibetan monk walking briskly up and down the lane. From the balcony, he almost looked as small as a GIJoe action figure he had had as a child. “We shall go to McLeodGanj” he told her and they took the first sip of the coffee, which had gone cold a while back. And they did. As soon as the Sun drove up the sky from East, their weary feet had made it to the residence of Dalai Lama, McLeodGanj – A place, uphill of Dharamshala which is populated mostly by Tibetan community. It has a magnificent monastery with larger than life images of Buddha. He satiated his rumbling tummy by savouring some hot steamy momos while she preferred to subdue her hunger by delicious pastries and bakery items at one of the cafes around. As they entered the monastery, he couldn’t help but get awestruck by its august interiors and beautiful life sized images of Buddha. 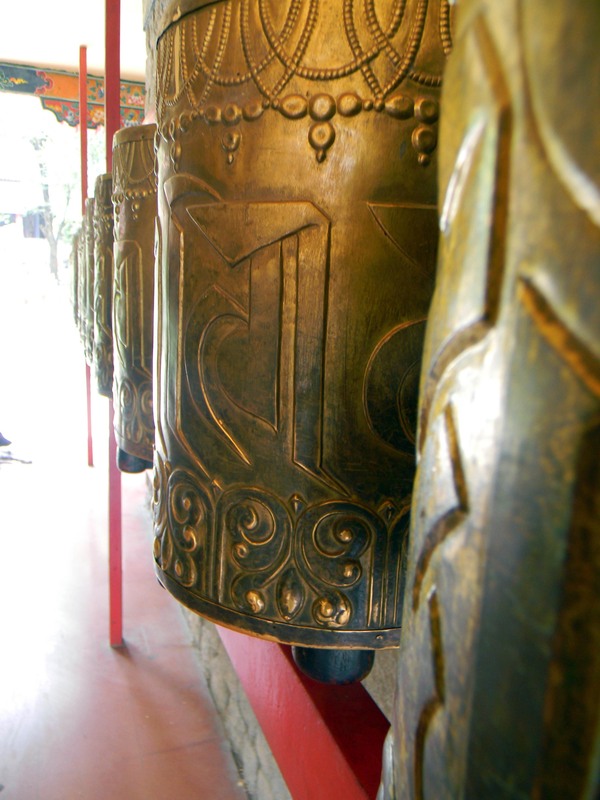 She held his hand and together they rang each of the prayer bells in a row. Call it holiness or the majestic aura of the place; they both got drowned in their own world of thoughts. He could not recall later as to when did she leave his hand and took a sit in front of that centrally placed Buddha idol. He left the room and came outside to witness Tsuglag Khang – the Dalai Lama’s temple which stood tall in front of him demanding respect. On their way back, their minds did most of the talking. She had her eyes fixed on the world outside of car. He occasionally looked at her half lit face by the Sunlight and then retreated back into his thoughts. The car moved through a mountain road, occasionally greeting a marketplace full of stalls of prayer bells, shoes, hand-knit woollens and what not. Then once the car had covered a sufficient distance, it came to a small waterfall. A steam of water so clear and inviting that they did not need a plan or time to decide. Jeans were pulled up to the knees and hair were tied back. They held each other’s hands and carefully climbed down the cold rocks to enter the pool of blue water. All the tiredness and distractions were washed away as they played and bathed in ice cold water. Minutes turned into hours and soon it was time for itinerary for its next spot. A local Tibetan market was plan for the next day to shop for Tibetan artefacts, food items, and small monastery items. 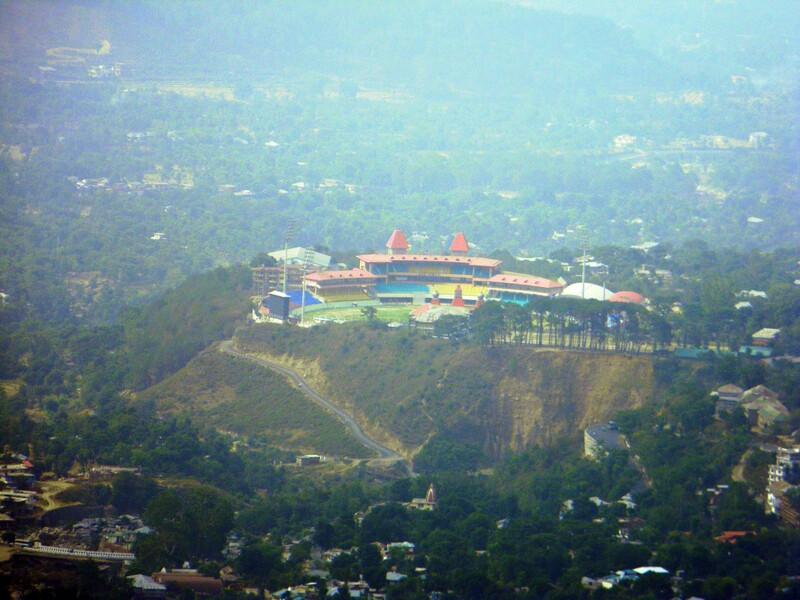 Further they stopped their car to take a view at Cricket stadium which is situated at the highest altitude in country. “Watching the game of cricket here would be an unparallel memoir!” he exclaimed. Wherever they moved, city did not fail to keep up its unspoiled natural extravaganza and breathtaking views of scenery around. He never managed to fathom if that vacation brought them closer. But it certainly was one of the best ones they both had ever had. It had all the reasons to brighten up their faces with smiles. A town that was full of life and yet wore a serene charm.